J.J. Barea injures his lower leg and has to be helped off the floor. Luka Doncic finishes with 21 points and nine rebounds as the Dallas Mavericks defeat the Portland Trail Blazers, 111-102. Harrison Barnes leads all scoring with 30 points as the Mavericks get the win over the Clippers, 114-110. LeBron James scores 28 points, Kyle Kuzma adds 15 points with 12 rebounds as the Lakers top the Mavericks, 114-103. Finished his eighth NBA season (third in Minnesota) by playing in 79 games, the second-highest total of his career... Averaged 8.4 ppg, 1.9 rpg and 3.8 apg in 18.6 mpg; his percentages from the floor(38.7%) and from long range (31.6%) were his lowest since his rookie 2006-07 year with Dallas... Shot 79.0% from the FT line, boosting that to 84.5%(60-for-71) since Jan. 1... Missed two games due to injury (Mar. 24 at Memphis,Apr. 9 vs. Chicago).. Made his lone start in the Apr. 4 double-overtime victory at Miami, netting 13 points and a season-high six rebounds in a season-best 38:50...Equaled his season high with the 21-point effort at Portland on Feb. 23 (also Nov. 15 at Denver); it's the 28th 20+ outing of his career... The Mar. 28 game vs. the L.A. Lakers was the 500th of his NBA career... Grabbed his 1000th career rebound Mar. 19 at Dallas, and went over the 4000-career-point mark Feb. 12 vs. Denver... The 8-for-8 effort Feb.12 vs. Denver was one short of the club single-game mark for most FGs made without a miss... Handed out a season-high 11 assists Dec. 16 at Boston, part of his 12th career point/assist double-double; Minnesota went 17-9 when he dealt 5+ assists... Went without a blocked shot for the third season in a row; he's now played 262 games since his most recent block, the longest such drought in the NBA in the past 30 years... Helped Puerto Rico earn a silver medal at the 2013 FIBA Americas Championship, held in Venezuela... Tallied 14.0 ppg (45.1%), 3.4 rpg and 3.8 apg in 10 contests as Puerto Rico qualified for the 2014 FIBA World Cup. 2012-13: Completed his second season with the Wolves and seventh in the NBA by playing in 74 games and logging a career-high 1713 minutes (23.1 mpg)… Averaged 11.3 ppg, a career-high 2.8 rpg and 4.0 apg while shooting 41.7% from the floor and 78.4% from the line… Fired in a team- and career-best 97 three-pointers; he also led Minnesota by hitting 34.6% from beyond the arc… Started a pair of games (Nov. 30 vs. Milwaukee, Dec. 23 at New York) and missed seven due to injury; he was sidelined for five contests (Nov. 9-16) due to a sprained left foot and two (Jan. 9-11) with back spasms… Led Minnesota in 4th-quarter scoring for the season, netting 310 of his 834 points in the final stanza (37.2% of his total)… Collected 12 of his team-high 17 points (and all five assists) in the 4th quarter of the Jan. 3 win at Denver… Scored a team- and season-high 23 points Apr. 12 at Utah, his sixth 20+ outing and the 10th time he led the Wolves; the 9-for-10 effort from the line set career highs in both categories… Posted team highs with 20 points and six assists Apr. 6 vs. Detroit, one of 16 times he led in assists… Led all scorers with 21 points Mar. 26 at Detroit, matching his career best with five three-pointers; he also rang up five treys in the Mar. 12 victory over San Antonio… The Feb. 22 game at Oklahoma City was the 400th of his NBA career; he scored his 3000th point Jan. 13 at San Antonio… Picked off a season-high three steals Mar. 9 at Denver, logged a season-high 37:55 Dec. 23 at New York and hauled down a seasonhigh seven rebounds Dec. 26 vs. Houston… Contributed 11 points and a season-high 10 assists Dec. 4 at Philadelphia, his lone double-double of the year (12th career)..
2011-12: Finished his first season in Minnesota and sixth in the NBA by registering career highs in scoring (11.3 ppg), assists (5.7 apg), rebounds (2.8 rpg) and minutes played (25.2 mpg)… Shot 40.0% from the floor, 37.1% (53-for-143) from three-point range and 77.6% from the line… Saw action in 41 games, missing a total of 22 due to injury and drawing three DNP-CDs… Started the final 11 contests, his only starts of the year; he averaged 16.0 ppg (42.1%) and 9.3 apg in 36.1 mpg in those 11, while shooting 43.3% (26-for-60) from three-point distance and collecting five point/assist double-doubles (seven total)… Played all 48 minutes Apr. 22 vs. Golden State, the first complete game by a Timberwolves player since Dec. 21, 2007 (Sebastian Telfair vs. Indiana)… Tallied a season-high 28 points Apr. 17 vs. Memphis, one of five 20+ efforts on the season; his five treys in that game tied a career best… Dished a career-high 15 assists Apr. 11 at Denver, the Wolves' best since Troy Hudson dealt 15 vs. Cleveland on Feb. 28, 2003… Notched his first career triple-double Mar. 23 at Oklahoma City (25 pts, 10 reb, 14 ast); he's the eighth player in club history to post a triple-double (first since 2007) and the first to accomplish that feat in a reserve role… Led Minnesota with 18 points and 11 assists Mar. 21 at San Antonio; he was credited with 10+ assists in five of his final seven road outings, averaging 11.1 apg in that stretch… Handed out his 1000th career assist Mar. 7 vs. Portland, and went over the 2500-point mark Mar. 21 at San Antonio… Led the Wolves with 22 points (going 5-for-6 from beyond the arc) in the Feb. 22 win over Utah, one of seven times he was Minnesota's top scorer..
2010-11: Averaged a career-high 9.5 points, 2.0 rebounds, career-high 3.9 assists and career-high 20.5 minutes in 81 games (2 starts), while shooting 43.9% (285-649 FGs) from the field, 34.9% (66-189 3FG) from 3-point range and 84.7% (133-157 FTs) from the line… Had three double-doubles and five games with 20+ points… Recorded four games with 10+ assists… Tallied 10 points (5-10 FG), 5 rebounds, and 7 assists in 23 minutes at Memphis (11/10/10)… Had a game-high 19 points (7-14 FG, 1-4 3FG, 4-4 FT) in 22 minutes vs. Philadelphia (11/12/10)… Dished out a career-high 13 assists in 27 minutes vs. New Jersey (12/9/10)… Had his career-high 29 points (11-21 FG, 1-4 3FG, 6-6 FT) in 36 minutes at MIL (1/1/11)… Recorded 25 points (9-12 FGs, 3-4 3FGs, 4-4 FTs), including 18 first-half points, in 33 minutes vs. the Clippers (1/25/11)… Notched 20 points (8-12 FG, 2-4 3FG), including 15 fourth-quarter points, in 22 minutes at Sacramento (2/9/11)…Tallied 15 points and 6 assists vs. Phoenix (4/10/11)… It was his seventh straight game with 10+ points, marking his longest double figure scoring streak of his career (3/30-4/10/11)..
2009-10: Averaged 7.6 points, 1.9 rebounds, 3.3 assists and 19.8 minutes in 78 games (18 starts) while shooting 44.0% (232-527 FG) from the floor, 35.7% (56-157 3FGs) from 3-point range and career-high 84.4% (76-90 FT) from the line… As a starter, averaged 11.1 points, 2.0 rebounds, 3.6 assists and 25.7 minutes… Recorded 25 games with 10+ points, six games with 15+ points, and three games with 20+ points… Had a career-high 12 assists vs. Toronto (11/7/09) -- the most assists off the bench by a Mavs reserve since Derek Harper had 13 vs. Philadelphia (2/19/87)… Scored a season-high 23 points (10-13 FGs),...(8-15 FG, 3-5 3FG vs. Houston (12/18/09)… . 2008-09: Averaged career-highs in many statistical categories including points (7.8), rebounds (2.2), assists (3.4), minutes (20.3), games (79) and starts (15)… Shot 44.2% (246-557 FG) from the field (career-high), 35.7% (55-154 3FG) from 3-point range and 75.3% (70-93 FT) from the line… Recorded 20 10-point games and six 20-point games… Had 15 points (7-11 FG), including game-winning 3-pointer with 50.2 seconds to go vs. the Clippers (12/2/08)… In his first start of season, tallied 18 points (6-14 FG) in 31 minutes vs. Phoenix (12/4/08)… Recorded 21 points and 5 assists in a career-high 40 minutes vs. San Antonio (12/9/08)… Tallied 20 points, six assists, a career-high three steal, and one block in 37 minutes vs. Chicago (2/7/09)… Scored a then career-high 26 points at Houston (2/20/09)… . 2007-08: In 44 games (9 starts), averaged 4.3 points, 1.1 rebounds, 1.3 assists and 10.5 minutes… Shot 41.8% (71-170 FG) from the field, 38.9% (21-54 3FG) from 3-point range, and 80.0% (28-35 FTs) from the line… Shot a perfect 4-4 from 3-point range to score 25 points (9-11 FG, 4-4 3FG, 3-3 FT) in second career start vs. Sacramento (11/3/06)… Had 31 games on inactive list, including the final 18 of season. .
2006-07: In 33 games (1 start), averaged 2.4 points and 5.8 minutes per game… Shot 35.9% (28-78 FG) from the field, 28.6% (5-21 3FG) from 3-point range and 66.7% (16- 24 FT) from the free throw line… Scored 13 of 16 points in the fourth quarter vs. Utah (4/13/07)… Recorded his first career double-double with 13 points and 10 rebounds (5 offensive) in 31 minutes at Golden State (4/17/07)... Assigned to the D-League’s Ft.Worth Flyers (1/18-1/31/07)… In 8 games (6 starts) with the Flyers, averaged 27.3 points, 5.0 rebounds, 7.8 assists and 1.3 assists in 36.6 minutes per game… Shot 52.3% (79-151 FGs) from the field, 43.8% (21-48 3FGs) from 3-point range and 78.0% (39-50 FTs) from the line in Ft. Worth.. Represented Puerto Rico in five games at the 2010 FIBA World Championships (Istanbul, Turkey), averaging a team-high 16.4 points, 5.4 assists and 3.8 rebounds... Represented Puerto Rico in five games at the 2008 FIBA Olympic Qualifying Tournament (Athens, Greece), averaging 12.4 points, 3.2 rebounds and 2.2 assists... Played for Puerto Rico (finished in third place) in the 2007 FIBA Americas Tournament, averaging 7.5 points, 1.4 rebounds and 2.3 assists in 8 games. Averaged 21.0 points, 4.4 rebounds, 8.4 assists as a senior... CAA Preseason All-Conference First Team selection... CollegeInsider.com Preseason Mid-Major All-America selection... Named CAACo-Player of the Week (11/22)… Scored 22 points in season opener vs. Brown... Followed that with 28 points and 14 assists in comeback win over Central Connecticut… Converted 10-13 FGs, including 3-3 3FGs in 23- point effort against Lasell... Earned All-Tournament Team honors for a 45-point, 18-assist effort over 2 games in the California Golden Bear Classic...Moved into third on the NU all-time field goals list in that game, surpassing Mark Halsel (1980-84)... Scored 26 points with 10 assists in victory over Georgia State... Followed with his second-straight double-double, a season-high 32 points and 10 assists in 38 minutes at Old Dominion. 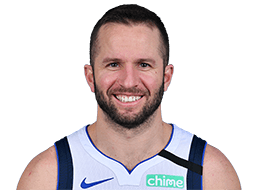 Born and raised in Mayaguez, Puerto Rico… Parents are Jaime Barea and Marta Mora… Has two older brothers, Jamie J. Barea and Jason J. Barea… Chosen as the flag bearer for the Puerto Rican delegation at the Centro American Games to be held in July in hometown of Mayaguez, PR.